With this new found information, Simon implemented his new method and technique into his personal trading and discovered great success. Being from God’s country, MN, and growing up on a farm has instilled in me a work ethic and drive to succeed. Having a BS in Manufacture Engineering has allowed me to hold various positions with different companies over the years. Having an entrepreneurial mindset has allowed me to own and build various businesses over the years also. My fascination with the markets started when I was very young and has continued throughout the years. If you think about this logically and understand how many billions of dollars are traded daily and then having a proven system that would allow you capture a small fraction on a daily/monthly basis. I was introduced to Simon’s proven and unique methodology in 2014 and was very impressed with his track record. Yes, I too have tried other systems and so-called indicators just to find and conclude that volume and understanding it is the “KEY” to being successful in the markets. 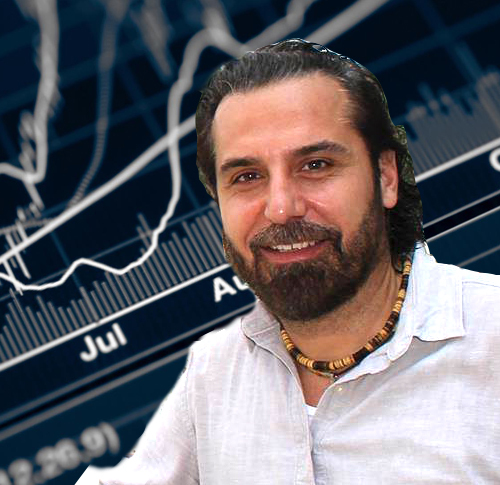 If you listen to Simon and utilize his knowledge, passion, and teachings, you too can be a very profitable trader. I did not have the opportunity to join Simon’s room until Feb. 2018 and am very glad that someone recommended him to me. Having experience in sales also, Simon and his team approached me and asked if I would like to become the Sales Manager for the Trader Institute. After some consideration I was very honored to accept this responsibility but want to clarify something up-front right away, I will not sell you on this system and team because it does work but rather assist you in overcoming your excuses/obstacles. Approx. 4 years it took me to join ‘The Trader Institute’, not because his track record (which is impeccable), but rather my own excuses. To the individual reading this right now I want to express one thing, it’s not you but rather having the proper tools and team behind you. This system definitely works and our team will be passionate and dedicated to assisting you become a successful trader. I, like Simon and his team, would love to answer any questions and assist you in any way possible!